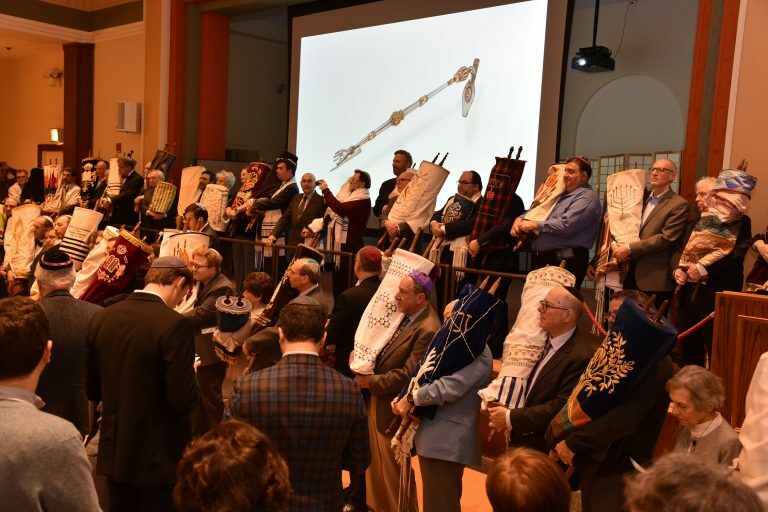 Calvary Hospital participated in a remarkable gathering of Torah Scrolls from Memorial Scrolls Trust (MST), many of them more than 100 years old. 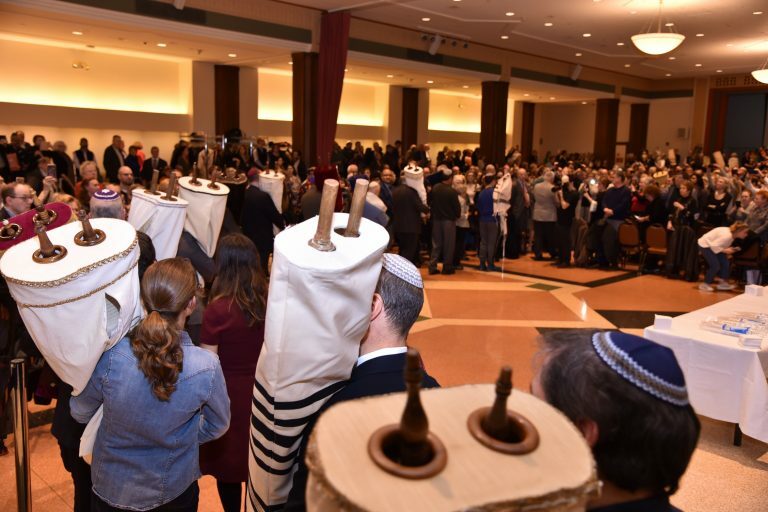 The reunion – the first-ever reunion of MST Scrolls in New York City — took place at Temple Emanu-El as part of the opening reception for the synagogue’s newest exhibit entitled “The Guiding Hand: Torah Pointers from Past and Present.” The event, which attracted 800 people, included a moving procession of more than 70 scrolls from over 10 different states and countries. (www.memorialscrollstrust.org). Founded 55 years ago this month, MST was established to restore 1,574 scrolls salvaged from the Holocaust and distribute them to communities throughout the world. Over 1,400 MST scrolls are currently on permanent loan around the world. 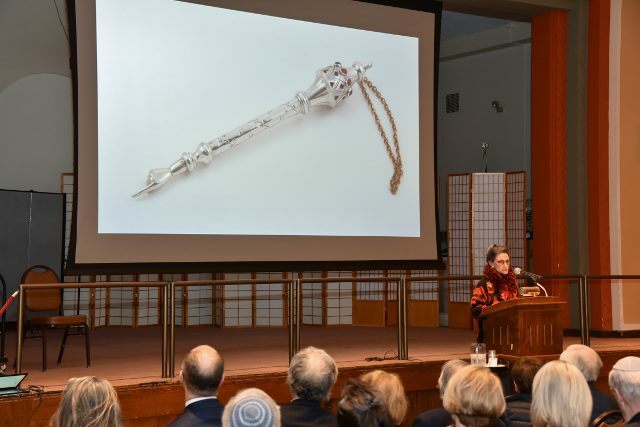 The event included remarks from: Jeffrey Ohrenstein, Chairman, MST; Warren Klein, Curator, Herbert and Eileen Bernard Museum of Judaica at Temple Emanu-El; and Clay Barr, the Barr Foundation. The exhibit draws on Ms. Barr’s personal Yad collection and features more than 150 pointers of all styles and national origins. Clay Barr from the Barr Foundation speaking about the Yads in the exhibition. 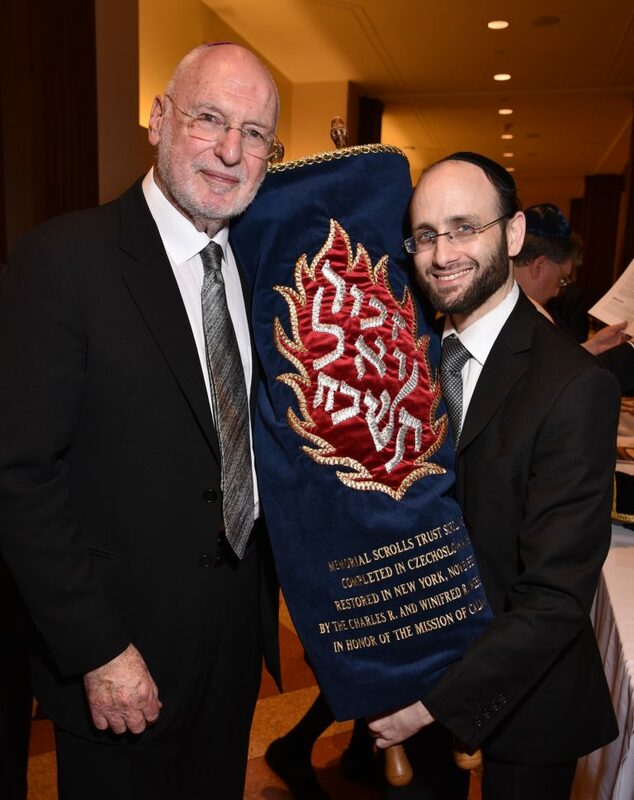 Jeffrey Ohrenstein (MST) with Rabbi Rachmiel Rothberger and Calvary’s MST Scroll. Calvary’s scroll, No. 515, is one of only 20 in the greater New York area today and one of just a handful that have gone to non-Jewish recipients. This particular scroll — dating from 1880 — is nearly 140 years old. It was originally from the town of Taus-Domazlice, in what is now known as The Czech Republic. In November 2016, Calvary completed a successful restoration of their MST Scroll, so that it can be used in religious services. The restoration was supported by more than 200 donors of all faith traditions. Jewish patients and families at Calvary have many amenities at their fingertips. Three rabbis care for hundreds of Calvary’s Jewish inpatients and home hospice patients each year. In addition to kosher food upon request, Jewish inpatients and their families can expect a daily visit from a rabbi, food from an expanded Kosher Hospitality Room, dedicated Shabbos Lounge, Kabbalat Shabbat service, and celebrations of all major holidays.